Use instead of steel wool for surface preparation on wood, fiberglass, metal or even painted surfaces. 1/4" X 9" X 6" pads are similar to "Scotch Brite" pads, but actually come in several "Grits". 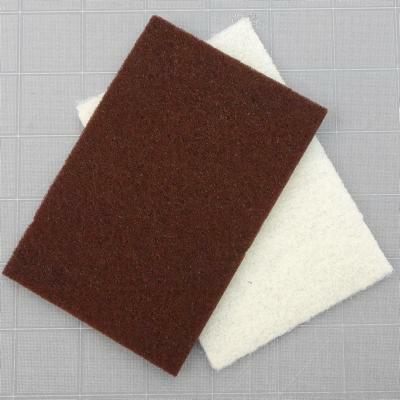 Medium (maroon) and Fine (gray or gold, depending on availability) pads are good before and after priming - will remove fine amounts of surface material. Ultra Fine (white) pad is for polishing & smoothing to a slick finish - even on final painted surfaces! Thanks again for the great service and I love your kits. - Jeff J.